The Monteverdi Project was devised by Kenneth Zammit Tabona, the artistic director of Teatru Manoel and the Valletta International Baroque Festival. He engaged Maestro Marco Mencoboni, who is considered to be one of the leading specialists of Baroque and Renaissance music, to run the project. 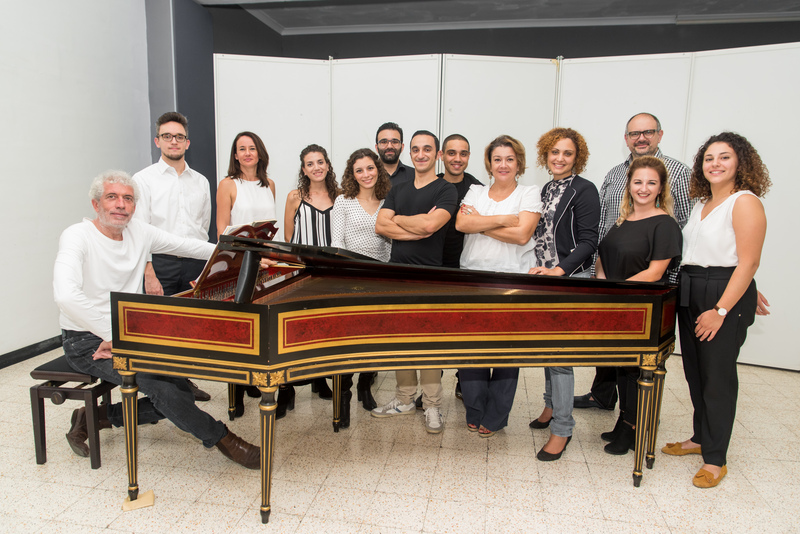 Since July he has been training a consort of singers monthly, selected through auditions, and the VIBE (Valletta International Baroque Ensemble) musicians on ensemble work and baroque vocal and musical techniques. The masterclasses focus on Claudio Monteverdi and contemporaries and will lead towards two concerts. The project is supported by Valletta 2018 Foundation and Anabalat Ltd. The ultimate aim of the project is to stage the three Monteverdi operas at Teatru Manoel through coproduction with other similar sized theatres. For the December concert Mencoboni prepared a Christmas concert that will focus on Monterverdi’s contemporaries including Cantata no 51 Jauchzet Gott in allen Landen , for soprano, trumpet, strings and continuo by Johann Sebastian Bach, Concerto Grosso no 8 Fatto per la notte di Natale by Arcangelo Corelli and a the Messa Pastorale by Benigno Zerafa. The January concert will focus on Claudio Monteverdi’s Vespers of the Blessed Virgin.